Mercedes Sprinter Conversions That Are Out Of This World! The Volkswagen Bus Camper might be the king of the classic camper world, but the Mercedes Sprinter Conversion is undoubtedly the champion of self conversion fans everywhere. The Sprinter is definitely one mean machine, and a van that’s big enough to transform the inside into thousands of different themes and designs. We’ve picked 11 of the best Mercedes Sprinter Conversions that we’ve seen on our travels through the internet. 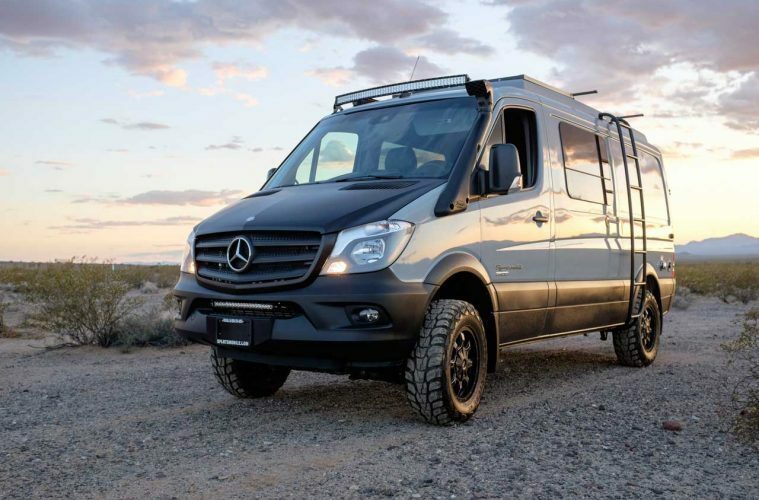 Check them all out below, and get ready for that Mercedes Camper Dream Ride! Van Clan’s Favourite Mercedes Sprinter Conversions. 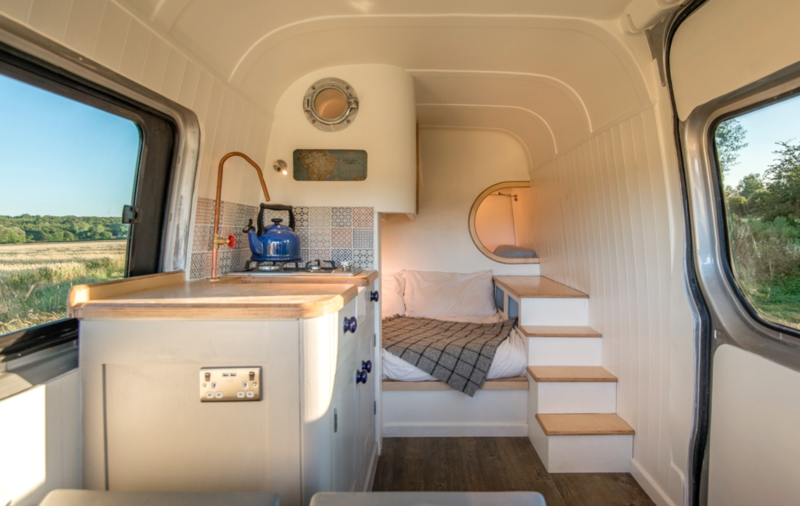 If you’re looking for Mercedes Sprinter Conversions that are truly a home from home then this build by Jack at This Moving House is definitely one for your Pinterest mood board. It’s cleverly built, full of character, and makes use of all of the space inside the main body of the van. 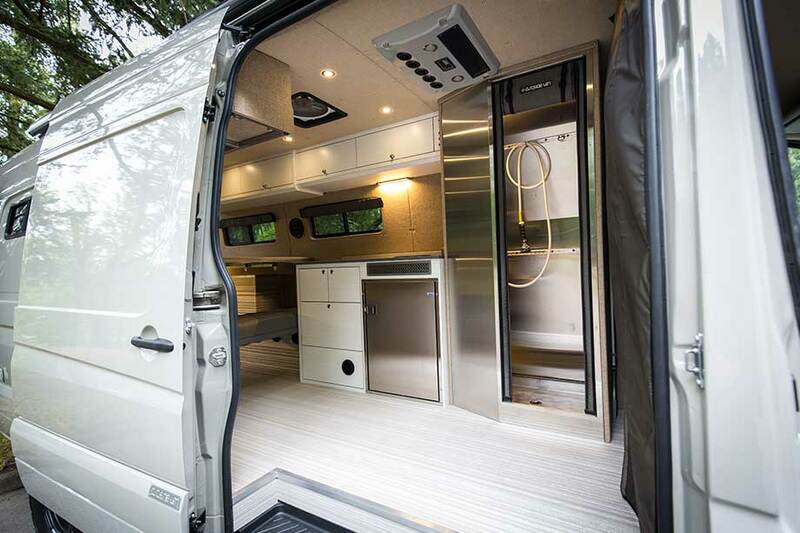 This Sprinter has more storage than you could shake a gear-stick at, and the cream colour scheme makes us think of a classic country kitchen. 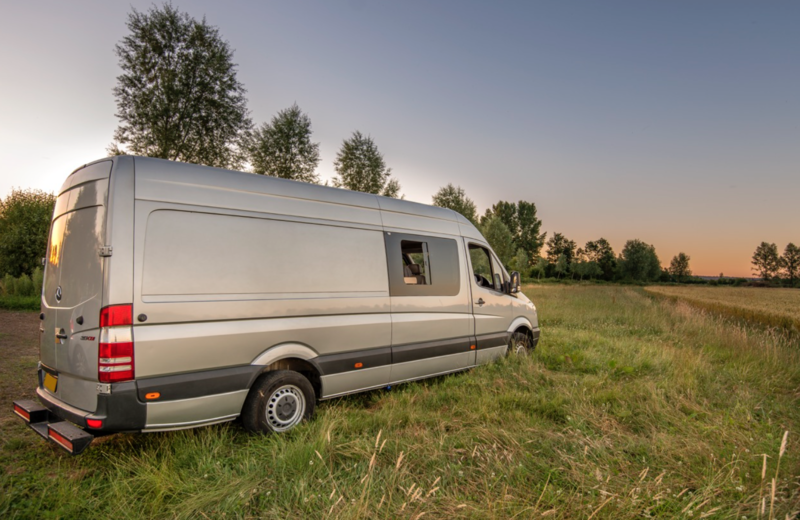 There’s room enough to seat four people comfortably around the built in table, and with a double bed for the parents and two bed pods built for the kids, this Mercedes Sprinter really is an off-grid family paradise. 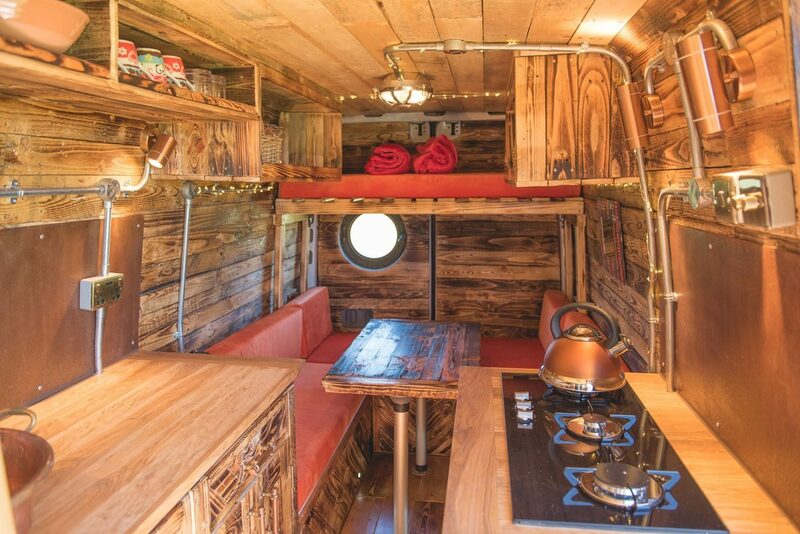 To find out more about Jack’s home built camper’s visit This Moving House! Do you want a conversion that can make the Kessel Run in less than twelve parsecs? If so then this Darkstar Sprinter from Outside Van should definitely do the trick. With more attitude than a Tie Fighter and a mean streak that would make Darth Vader look like Gandhi, the Darkstar is a beast of a camper that won’t let you down on even the toughest of adventures. Life is simple in a van; truer words have never been said! It’s pretty simple inside this mean machine, but it’s got everything that you could possibly need if you’re off mountain biking or trekking through the wilderness. 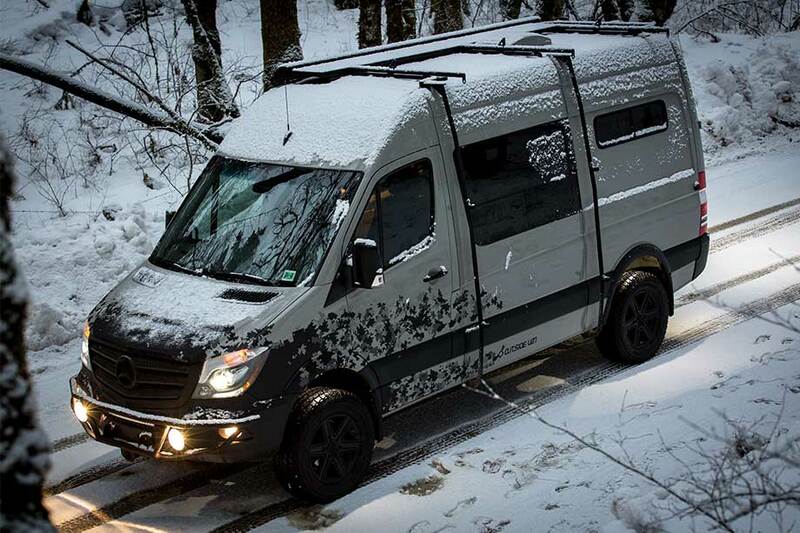 Check out our full length article on Darkstar Van Life with this Darkstar Mercedes Conversion. Ever wanted a private jet but don’t have the money or are scared of heights? 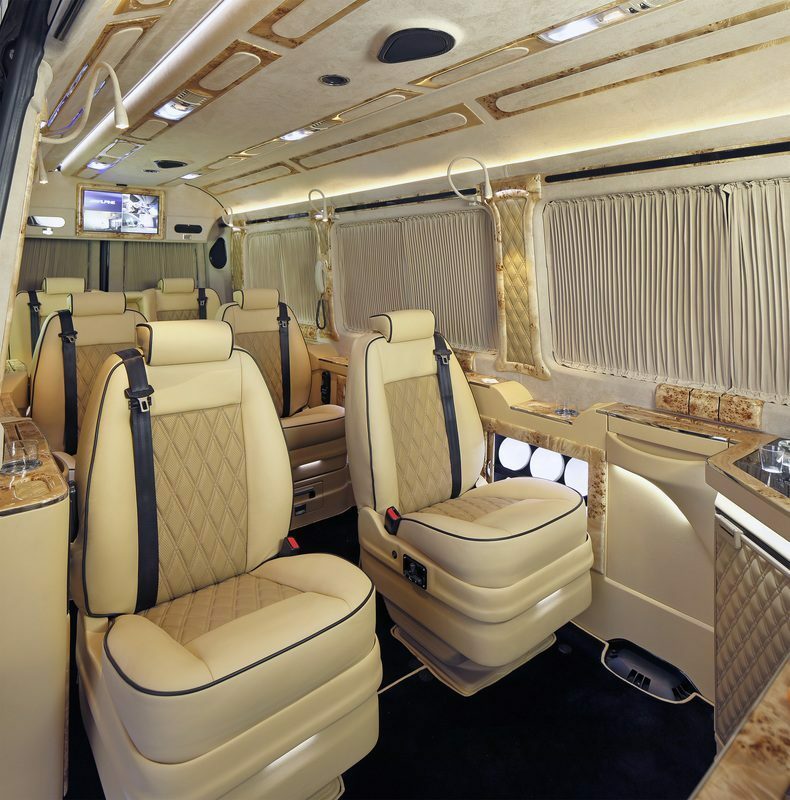 This Senzati Jet conversion has made our list of amazing Mercedes Sprinter conversions because it shows the pinnacle of luxury, and it’s also pretty ridiculous that it feels like you’re inside Air Force 1! 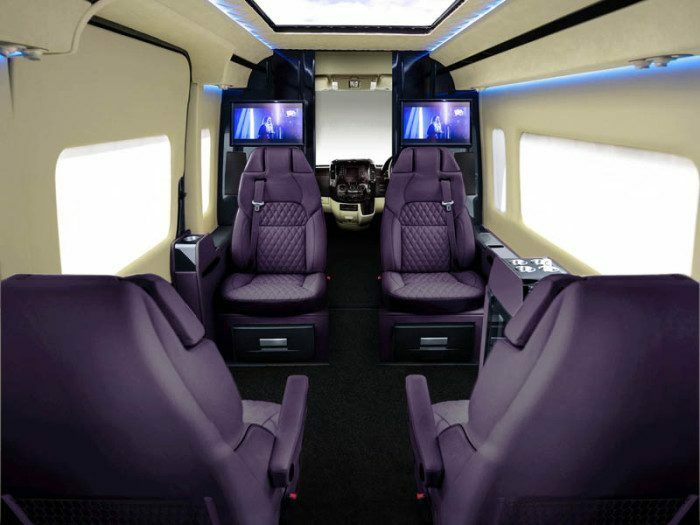 Luxury leather reclining chairs, televisions for each passenger to watch, Mobile Broadband & Multi-User Wi-Fi, a toilet that looks like it should belong in the oval office – this beast has it all. There’s secret storage for MacBooks, and with 8 different layouts to choose from you can really tailor this conversion to your individual needs. 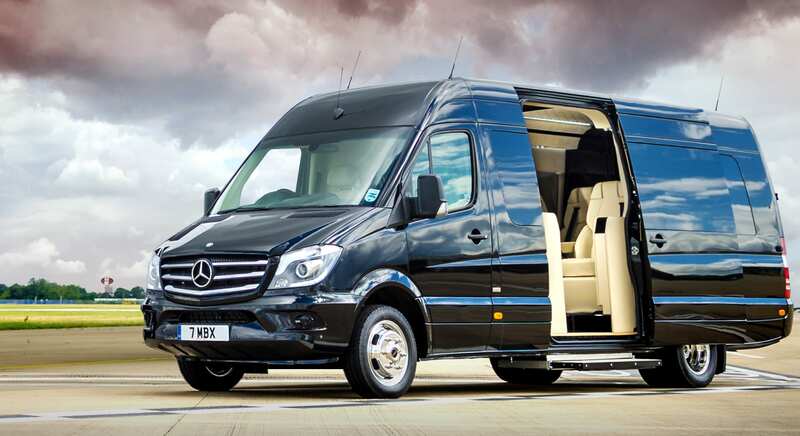 Want to read more about this most luxurious of mercedes sprinter conversions? 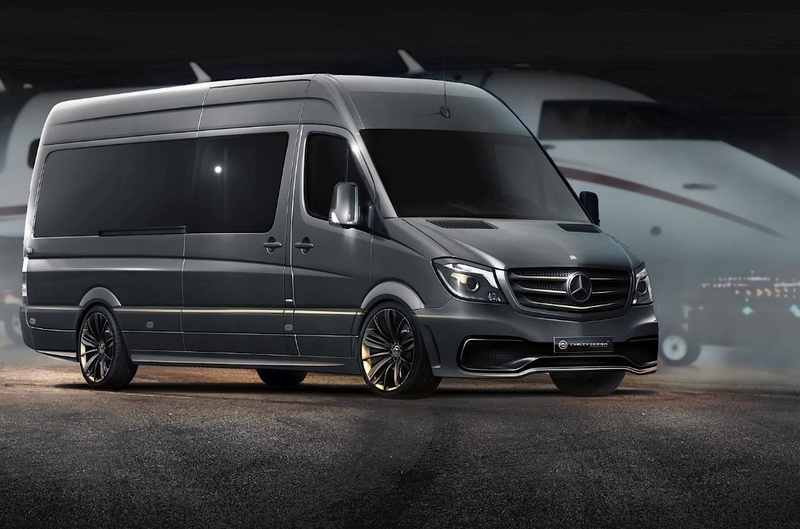 Check out our article on the Mercedes Sprinter Private Jet! 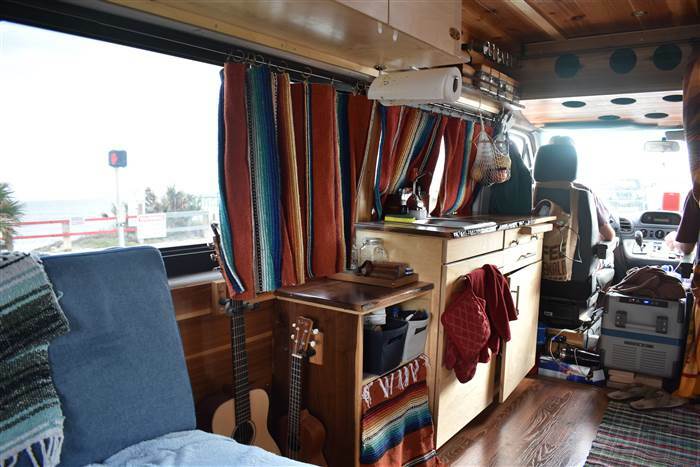 We travelled in some nifty busses when we were on tour in different bands, but this sprinter conversion is the most rock ‘n’ roll thing on wheels we’ve ever seen. It’s like a portable Hard Rock Cafe come mobile back stage afterparty all in one! 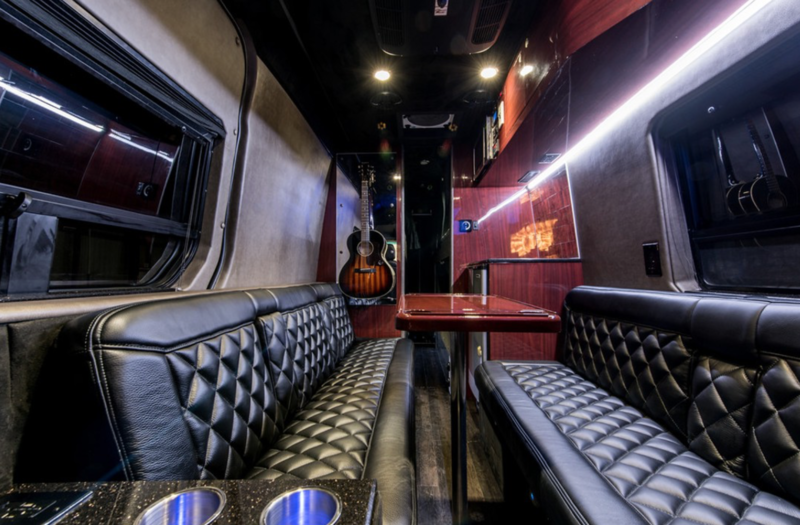 Cool leather sofa’s, space for your guitars to hang, drinks making facilities, and there’s even some bunk beds in the back too so you can sleep whilst your driver takes you to the next venue! This beast makes the Mercedes Benz Sawtooth look like it’s in an Indie band! With the awning up and the LED lights in full swing this musical menace instantly becomes a party bus. Whether you’re doing a live gig or relaxing back with a cuppa and watching last nights performance on the built in tv, it’s one of the most awesome Mercedes Sprinter conversions that we’ve ever come across! You can check out more by visiting Gulf Coast Conversions online. This van, aptly named the Valhalla, is Viking through and through. It’s the first 4×4 giant in our list of Mercedes Sprinter conversions, but don’t think that adventuring comes without luxury added extras. 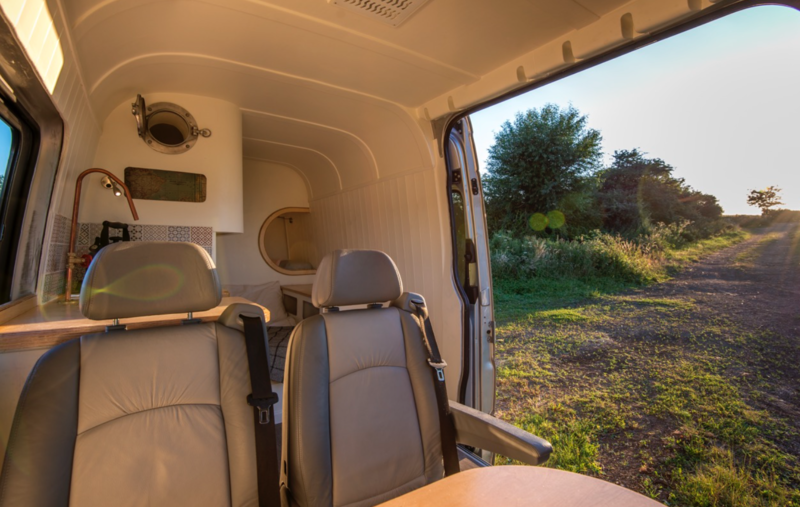 The Valhalla from Outside Van comes equipped with a full kitchen, sofa and sleeping area, storage, fridge and wet room. It’s designed for conquering the wilderness, and with 4×4 functionality theres no stopping you when it comes to picking out the camping ground. 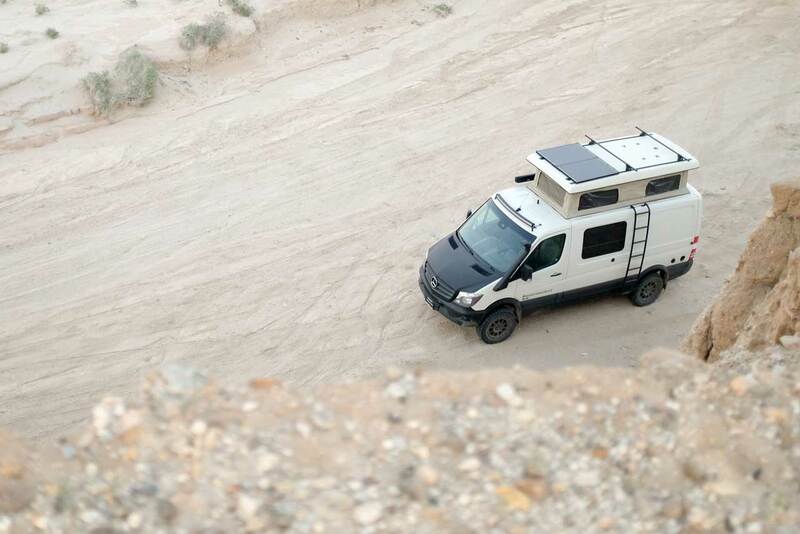 A full roof rack of high output LED lights also means that darkness can’t even stop your adventures. A handy ladder takes your adventure to another level (pun definitely intended), with room to store surf boards and other adventure gear that you might need on your travels. 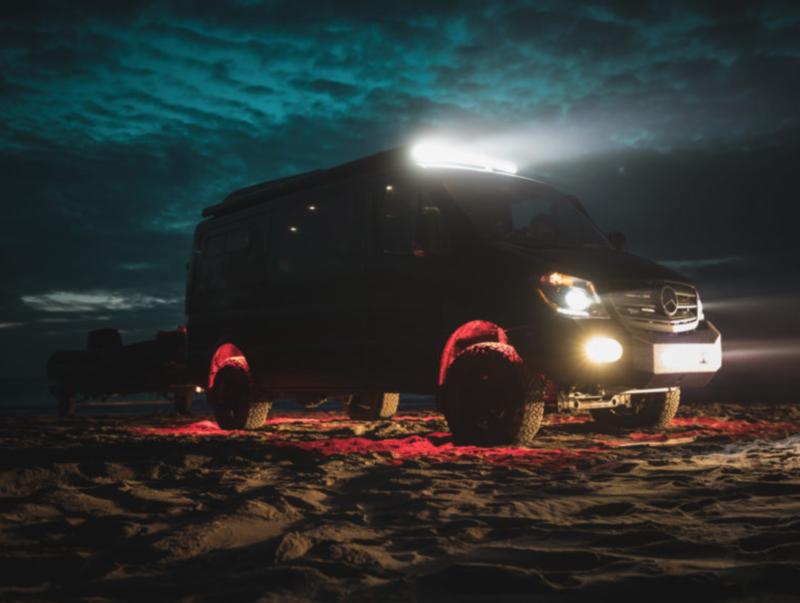 We knew that you’d like this van, so here’s an article on this Incredible Custom Off-Grid 4×4 Mercedes Sprinter Conversion that we made earlier. 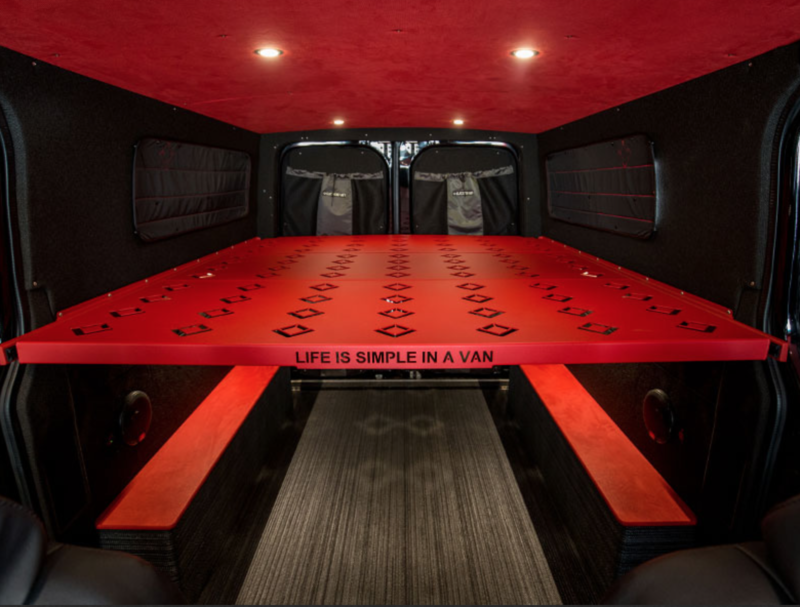 Keep Scrolling to Read About More Amazing Mercedes Sprinter Conversions! If you like your 4×4 conversions super-charged with a shot of Espresso then this beast from Sportsmobile might just do the trick! 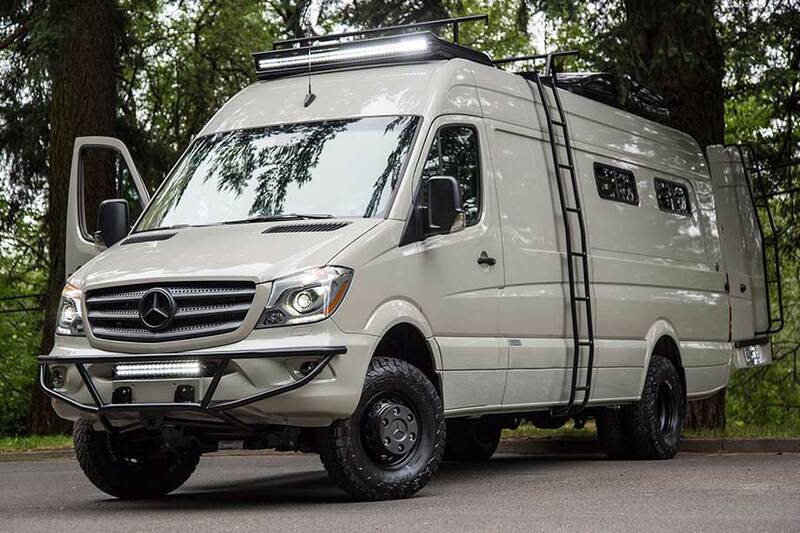 This is undoubtedly one the most rugged Mercedes Sprinter conversions on our list, utilising a 4×4 drive that comes equipped with the highest performance power-train option (that already sounds way too cool) that you can currently get in the United States. Two words – Pop Top. Now your off road experience really can go to the 4 corners of the globe, and you’ve got more than enough room to stand up and gloat when your old school friends ask what you’ve been doing with your life. For more info on this super-charged Sprinter conversion head over to Sportsmobile and have a read for yourself! We’ll let you pick your jaws up off the floor before we start talking about this one! We’re taking a trip over to our good friends Quirky Campers for this one, and we think that you’ll agree that it’s a sight to behold. Named Saffiyah, this is definitely one of the most creative looking Mercedes Sprinter conversions that we’ve ever had the pleasure of looking round. The bold use of copper piping outside the stained wooden walls gives a rustic and industrial feel that is akin with an old narrowboat or an off-grid log cabin in the wood. If we could buy three we would! Saffiyah has a very generous kitchen, a 3-ring stove that’s perfect for cooking on and a spacious fridge. Theres also running hot water and a waterfall shower – no need to smell if you’re living off-grid. Oh, did we also mention that this van is painted like an enchanted forest? You can check out more from amazing custom vans for hire by visiting Quirky Campers! Thinking of taking a trip as far north as you can go? 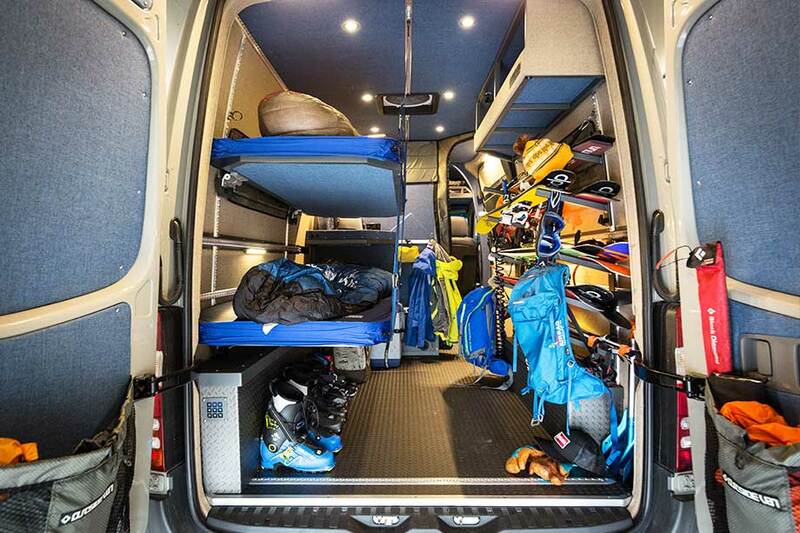 The Timber Den from Outside Van is a snow sports lovers dream! This is more of a rough and ready conversion, but it’s got everything that you need if you’re hitting the slopes for a long weekend. 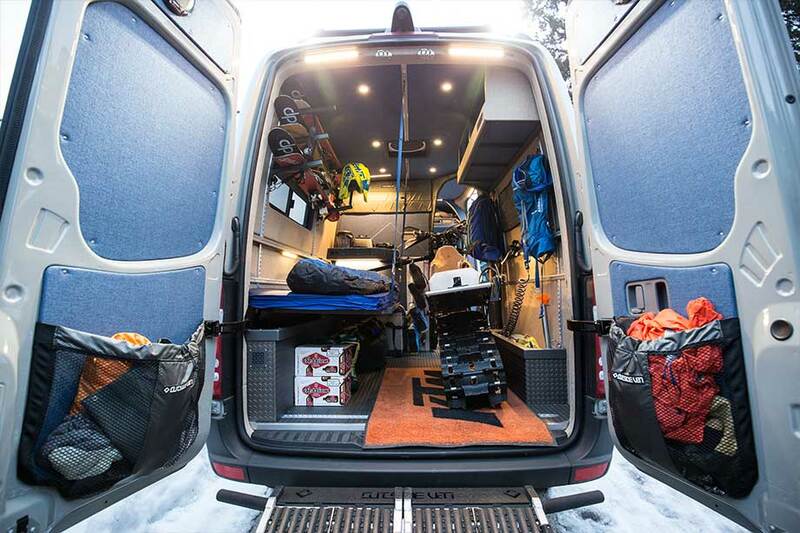 With enough room to sleep two people and plenty of storage for your boards, the Timber Van has power for your gadgets and enough storage space for all of your adventure gear. The two beds fold down and can clip back away for extra room, and you can even fit a snowmobile in there! Check out more about the Timber Den by visiting Outside Van. You might be thinking that it’s about time we mentioned an eco friendly machine in our mercedes sprinter conversions list, and here it is! This sprinter is built on the classic sprinter chassis that we all know and love and is designed for those with a passion for technology and the environment. Aptly named the ‘E-trek’, this conversion is full of luxury additions and all of the equipment that you could possibly need to live an eco friendly off grid lifestyle. Check out the video above for more details, or visit Roadtrek for more info! Do you ever feel the need to hold company meetings in your mobile home? 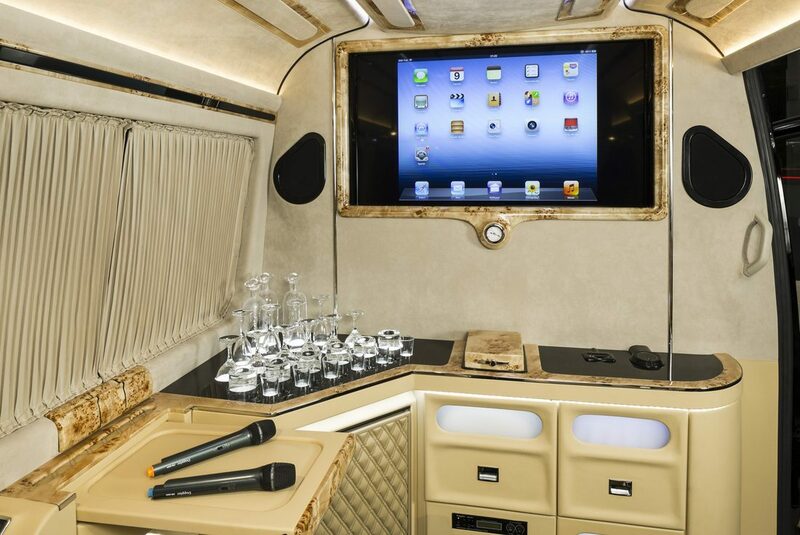 With this luxury Sprinter conversion from Klassen Luxury you can bring the whole office out for a mobile conference, as well as sharing a few drinks and taking part in some karaoke! With cruise and climate control, built in satellite system, 42″ TV and thick plush carpets as standard, this has to be one of the swankiest Mercedes Sprinter conversions that we’ve ever seen! There’s storage for headphones and iPads for every passenger, and more than enough crystalware to celebrate your newest promotion. And when you’re done in the office you can head to the built in massage chairs for a nice relax. Working a 9-5 job never felt so good! Check out more details on this luxury conversion over on the Klasson Luxury website. 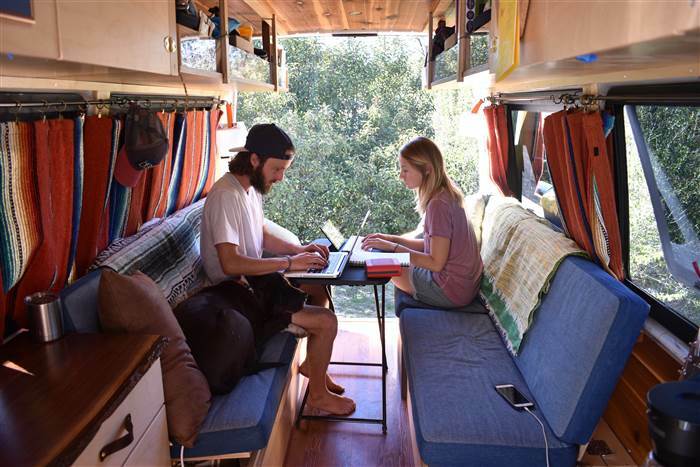 Instagram and YouTube are two of the best places to get your Wanderlust craving, and this hand crafted conversion from Always On The Road encompasses everything that we love about living in a van. Hand built vans are always the most homely in our opinion, and you can tailor them to your own specification without spending tonnes of money. You can really stamp your personality on them right from the get go, and when you put your heart and soul into a build your character ends up coming out in the finished article. Head over to Always On The Road to read more about their adventures and to learn more about their fantastic conversion! Thanks for checking out our list of Top Mercedes Sprinter Conversions. Join the Van Clan on Facebook, Twitter and Instagram for more Top Camper Lists and Classic Conversion articles. XL RidgMonkey – The only piece of kit for the off grid chef. Tesalate Sand Free Towel – Every beach bum’s best friend. Scrubba Washbag – Keep your clothes clean on the go.